For the first time ever Android Developer Preview available for a non-Nexus device: Xperia Z3 owners can try N now! As you probably know, the next major build of Android, just labeled Android N for now, is already in developer preview stage. What this means is that it's somewhat stable enough, and has a good chunk of its new features implemented, to be made available for developers to download, test, and get their apps ready for when the upgrade become official. With Android being the open system that it is, however, there's nothing stopping any Nexus (6 and above) owner out there from downloading the Android N Developer Preview for themselves, and a lot of fans do just that, as they are craving a taste of the new features. Now, for the first time ever, an Android Developer Preview has been made available for a non-Nexus smartphone. 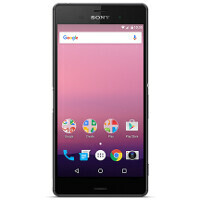 It seems Sony has worked in partnership with Google and made a build available for the Sony Xperia Z3 (variants D6603 and D6653). And, thanks to the Xperia Companion PC software, installing it is a pretty simple task. Just remember to back up all your data, as the ordeal involves a full system re-flash! So Sony is basically admitting the Z3 is its best creation: the Z3 got the Marshmallow beta before the Z5 too. No, but the most sold modell I think. That and it's their most developed for model. They will probably add support for the compact and Z5 series shortly. Likely. The Z3 generation exemplified Sony's flagship ideals the most compared to all its previous ones and even the Z5. The Z3C is also quite iconic for, save for the lack of a metal frame (which is debatably a better choice), is a phone that got better in every single way. Z3 with its world beater battery and refined design is just a tough act to follow not just for Sony but other companies as well, imo. So proud of that I bought the Xperia Z3 since it's announced. I never heard of the Xperia Companion until now. I have Sony Companion. It is now installed and seems to be similar but the the backup is more comprehensive. Z3 phones on ebay are soon having a price rise. I wish oem give you a choice Pure or theirs on the same phone model, would be nice. HTC A9 no Android N preview.? It will get iOS 10 soon.